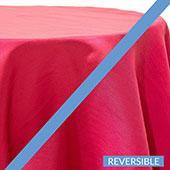 8' x 30" Banquet 210 GSM Better Quality/Best Value Quality Spandex Table Cover - Many Color Options ! As Alaska’s foremost supplier of wedding decorations and event décor supplies, Event Décor Direct in Alaska serves the most sought after wedding planners, wedding décor companies, and wedding decorators. Event Décor Direct in Alaska is proud to provide our valued customers with the most exquisite wedding decorations at the best prices to make their events distinctive, elegant and unforgettable. Event Décor Direct in Alaska serves a variety of customers including restaurants, hotels, wedding venues, small businesses, clubs, performing arts companies, schools, event and expo centers and more. 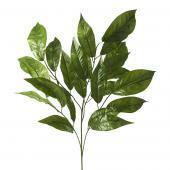 Wedding Backdrops – To ensure that your wedding is everything you are dreaming of, a wedding backdrop is essential. Whatever you desire, from the regal to graceful, columns or elegantly lit sheer panels, we have the perfect wedding backdrop kit to make your wedding spectacular. Backdrop Lighting – Each of our wedding backdrops are beautiful, but for the most romantic Alaska wedding, you will want to use backdrop lighting. 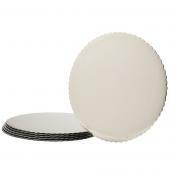 Our backdrop lighting solutions include basic and LED par cans as well as LED bars. LED lighting allows you to add the colors of the rainbow with a simple touch of a button, and will add elegance to your Alaska wedding. Crystal Décor – Our selection of acrylic ornamental drops, curtains, crystals by the rolls, crystal branches and beads are the perfect way to add a touch of glimmer and glamour to your Alaska wedding. 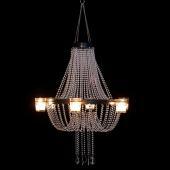 Chandeliers – For weddings, stage productions, night clubs, eating establishments or window displays, our acrylic crystal chandeliers are perfect for creating an atmosphere of elegance in Alaska. Crystal Curtains – Our selection of crystal curtains, with shapes and sizes ranging from 6-foot crystal curtains for doors to our impressive, 20 foot crystal backdrop curtains, make us Alaska’s leading source for crystal curtains. LED Decorations – Our selection of LED decorations includes LED-infused, crystal curtains to distinctive lighted crystal trees and beautiful lighted crystal garlands are priced especially for the event professional in Alaska. 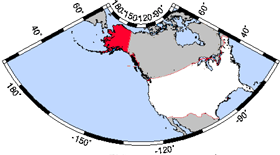 Candles – Find the perfect candles for your event or wedding in Alaska. From the elegance of brushed steel and glass candle holders, floating candles, pillar or bulk column candles, and even smart candles, we are your source for candles in Alaska. 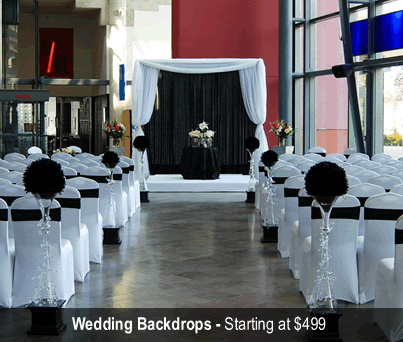 Ceiling Draping – Awe your guests with stunning ceiling draping for your Alaska wedding. 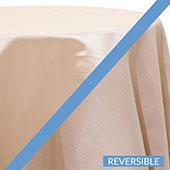 Our complete ceiling draping kits will most certainly make your wedding or event extraordinarily beautiful. 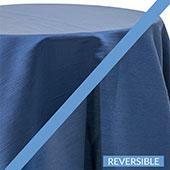 Chair Covers - If you are shopping for chair covers, Event Décor Direct is Alaska’s choice for premium chair covers. 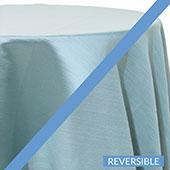 Customers lover our satin, lycra or polyester flex chair covers. 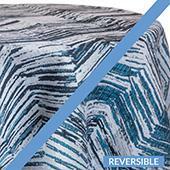 We also offer universal-fit chameleon wrap chair covers for your Alaska wedding or event. 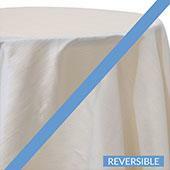 Event Linens & Drapes – We offer a wide selection of event drapes and linens, including our popular sheer drapes and valances, at the best prices for your Alaska wedding or event. 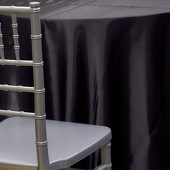 Pipe and Drape – If you need pipe and drape in Alaska, we have exactly what you are looking for. 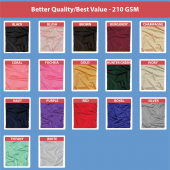 Our quality pipe kits include everything needed to fashion a wall of drape for wedding backdrops, meetings, trade shows, school events and more in Alaska.